Leading Service Provider of Software Development Service, Website Design & Development Service, Customized Application Development, Strong Seo Development and Domain Name Registration Service from Aurangabad. Website development is a broad term for the work involved in developing a web site for the Internet (World Wide Web) or an intranet (a private network). Web development can range from developing the simplest static single page of plain text to the most complex web-based internet applications, electronic businesses, and social network services. Custom software is software that is specially developed for some specific organization or other user. As such, it can be contrasted with the use of software packages developed for the mass market. Strong SEO required for website to search our website on search engine very easily and quickly. Launching a website requires that the desired domain name of your website is registered with domain name registrar. 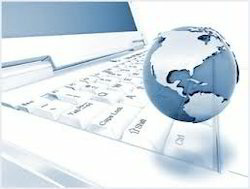 A domain name registrar is an organization or commercial entity that manages the reservation of Internet domain names. It needs to be ensured that the desired domain name is available and has not been taken by someone else already.